The sealing line length of the DZ1000c continuous vacuum packaging machine is 1000mm, which is a very popular type of vacuum packaging machine. 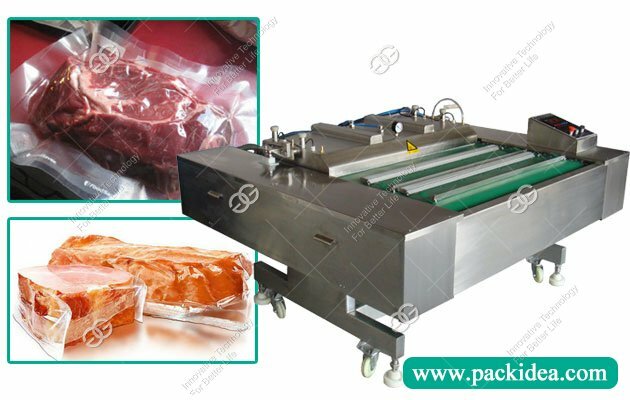 The meat vacuum packaging machine has stable lifting, high accuracy and accurate rolling belt positioning. Operators do not need to manually adjust the position of the conveyor belt, saving time and effort. The hardware configuration is high, the quality is reliable, the performance is stable. The continuous vacuum packaging machine can be tilted at four angles to meet the requirements of various vacuum packaging. Continuous vacuum packaging machine is easy to operate, because the machine adopts touch screen operation, graphic display equipment operation and fault analysis program control system, easy to operate and control the equipment. 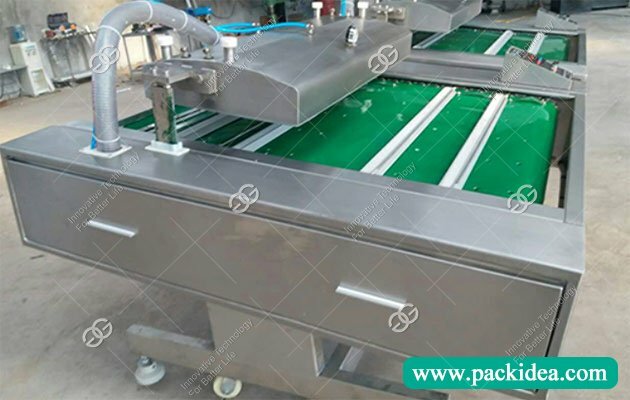 The machine can be used for vacuum packing of both soft film and hard film for precise base film forming and constant temperature and firm seal. 1. Eliminates some of the air in the container, which can effectively prevent spoilage of food. 2. Meat vacuum packaging machine adopts packaging materials with good barrier(air tightness) property and sealing technology and strict requirements, effectively prevent the packing content material exchange, lose weight, changing food flavor, also can prevent the secondary pollution. 3. Gas inside this vacuum container has been ruled out, speeding up the heat conduction, which can improve the efficiency of thermal sterilization, also avoid the packaging container cracking due to the expansion of gases. 4. The workroom and table are made of stainless steel with excellent corrosion resistance and good intergranular corrosion resistance, which can be used for a long time without deformation or air leakage, meeting the national health requirements. 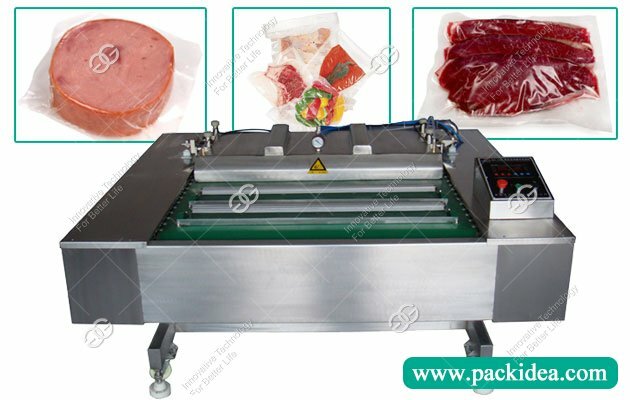 Our continuous meat vacuum packaging machine is priced according to its performance and function, which can guarantee the value for money, the transmission chain is provided with the function of automatic lubrication, and the fuselage board can be removed at any time, so that you can clearly observe the working process of each part of the machine, maintenance, maintenance, cleaning is more convenient. If you have any questions about our price, please contact us. Of course, we are factory . What is your machine guarantee? Usually the guarantee period is for 1 year, and we will keep contact with our customers for after-sales service. We're aim to produce better machines and let our customers to be satisfied.